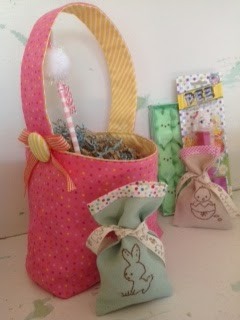 I so enjoyed making this Easter basket with the Dot Dot Dash fabrics Loulou's Fabric Shop sent me. Honestly it's the perfect colors and patterns for spring! 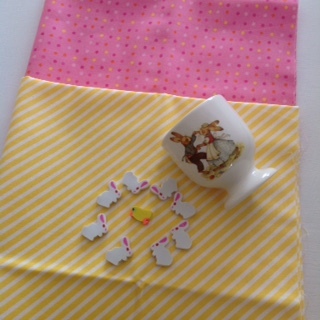 I followed the Easter basket pattern on flutterkat.com, you can whip it up in an hour. Her instructions are amazing. If you've never boxed corners before you'll be a pro when your done! 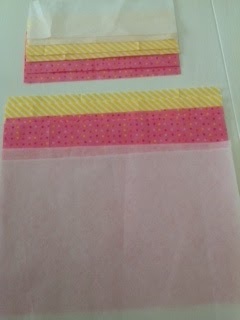 See these are all the pieces, so easy. Only thing is I should have used a firmer stabilizer or even fusible fleece would've worked great. Please check out this pattern, you won't be sorry!